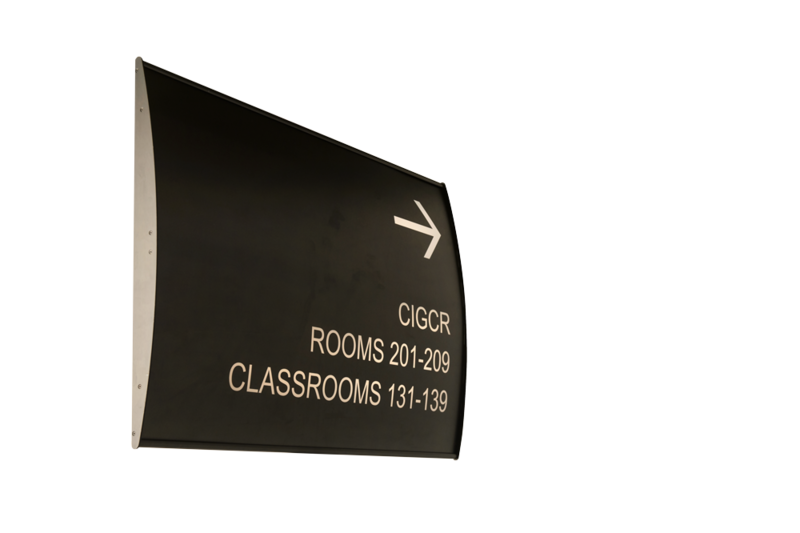 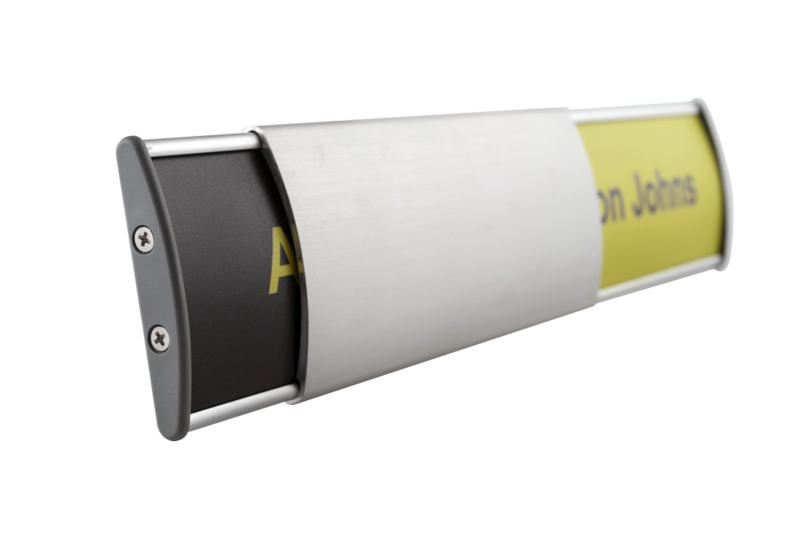 Vista System is a world-leading curved way-ﬁnding system designed to handle almost all the applications and materials used in the sign industry. 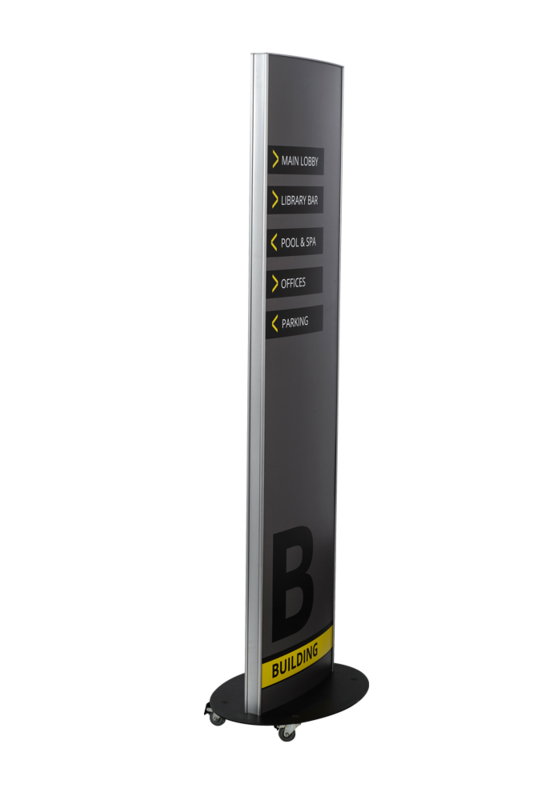 This allows the system to be used from the parking lot, through the entrance lobby and up to the desktops. 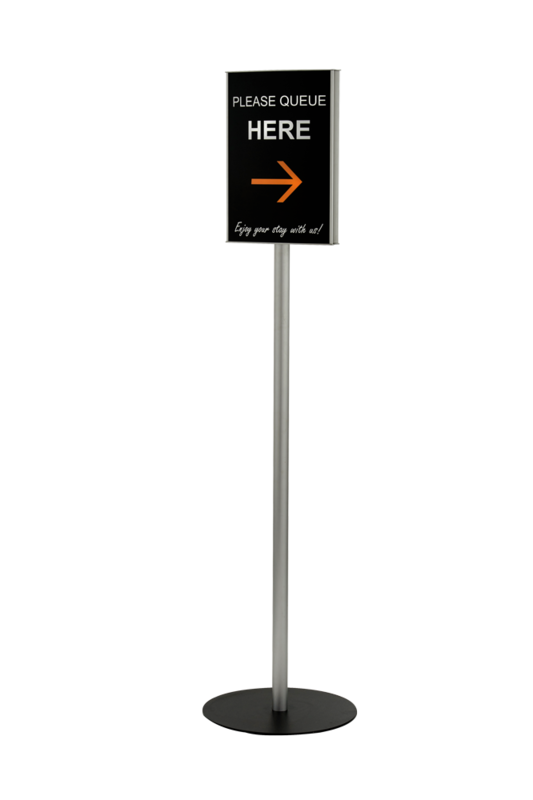 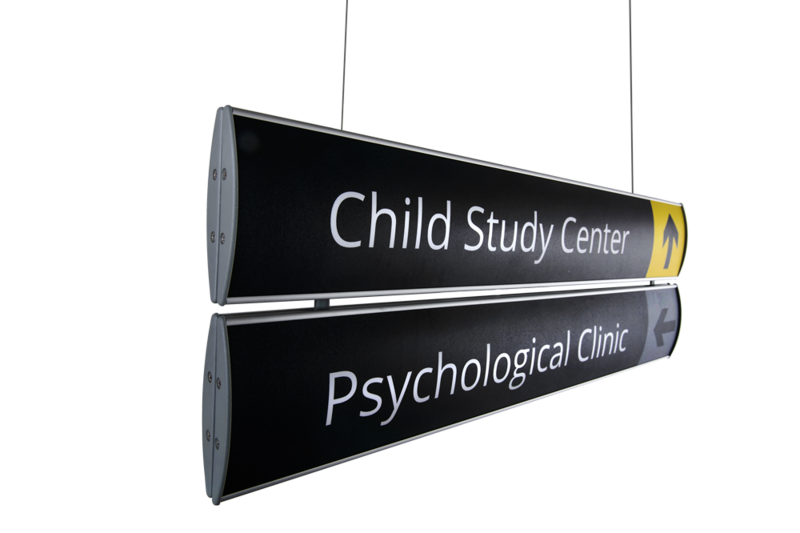 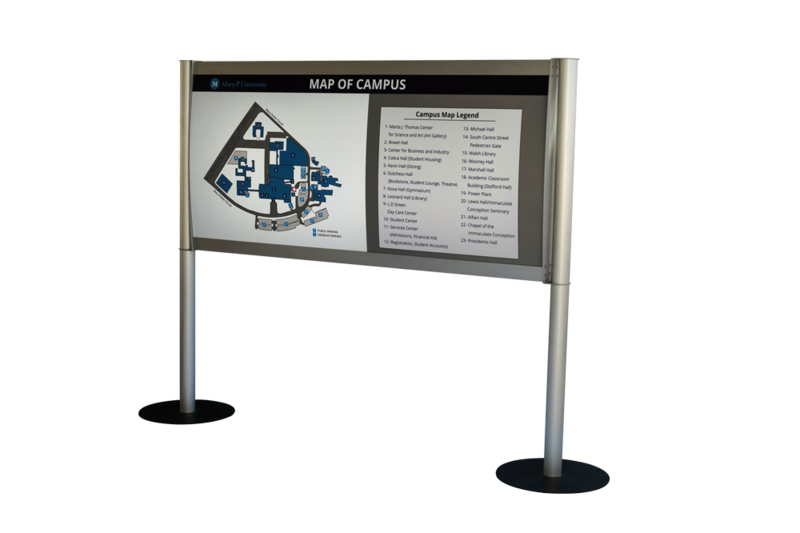 The system has the largest offered selection of sign types in the market: wall frames, directories, suspended signs, flag signs, table signs, double sided pylons, triangular pylons, post signs, etc. 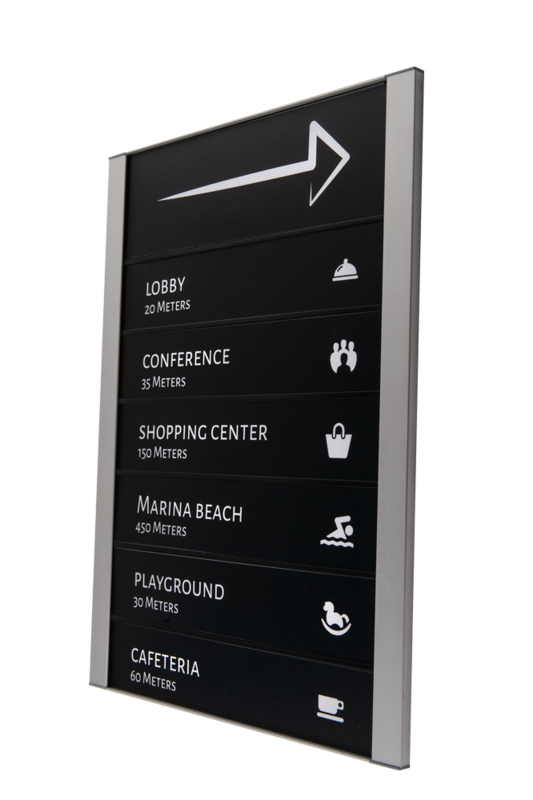 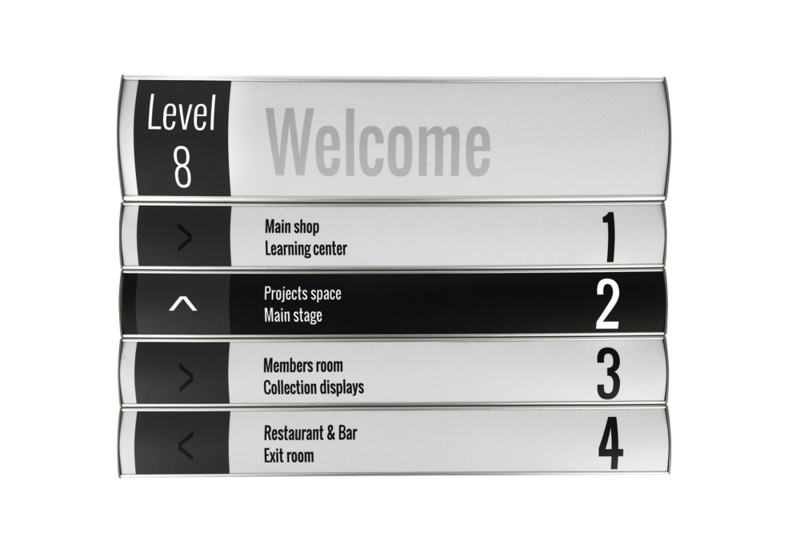 Vista Square is a way-finding system based on flat sign frames that accept a variety of insert materials. 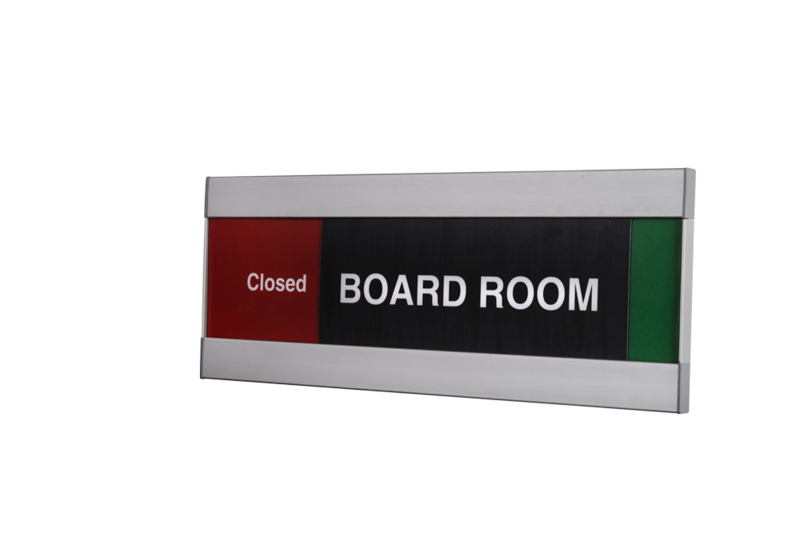 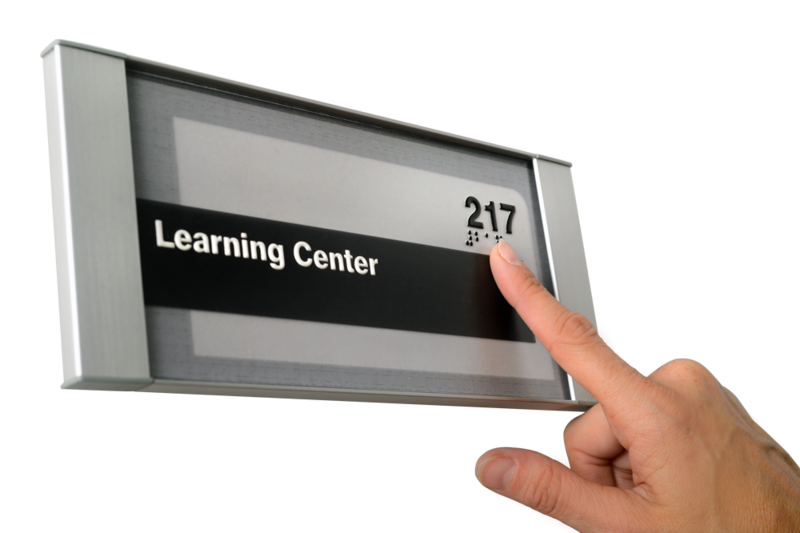 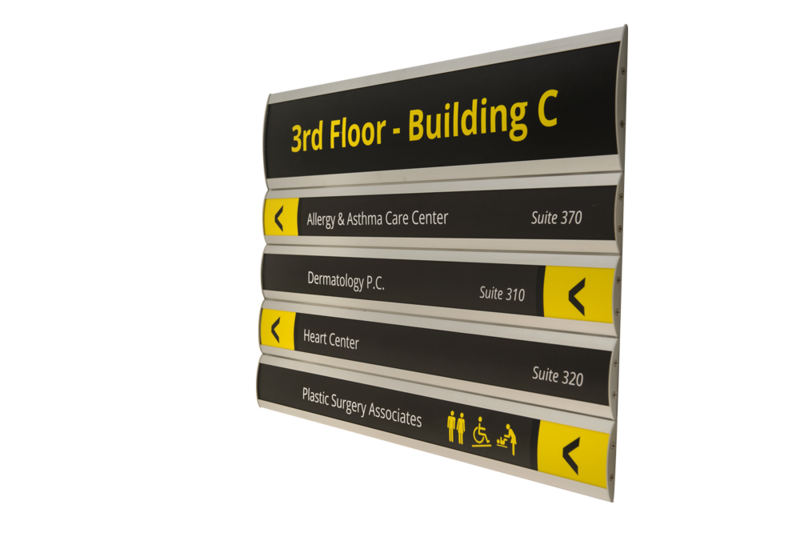 The system includes a wide array of flat, clean and fresh looking wall frames, projecting signs, suspended signs, corner s igns, table signs, directories, etc. 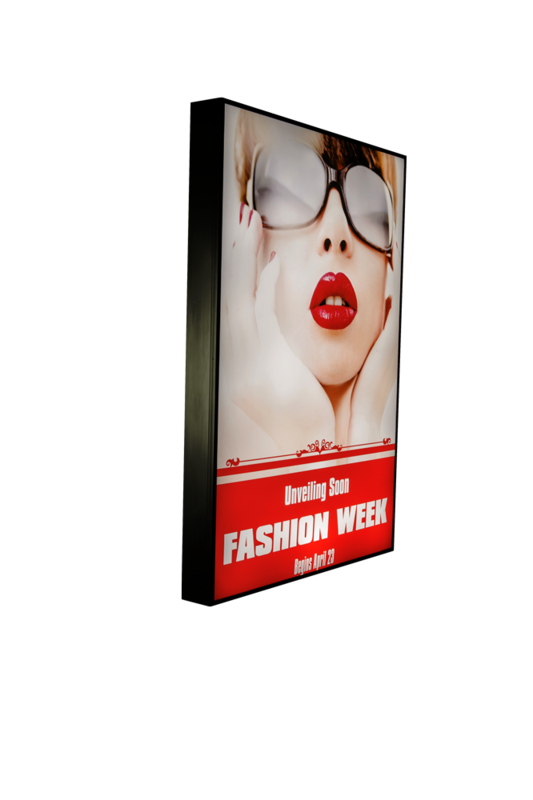 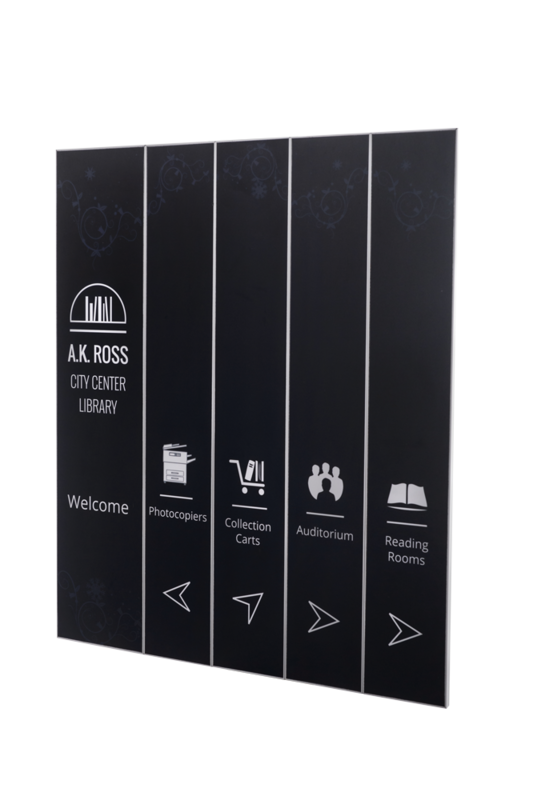 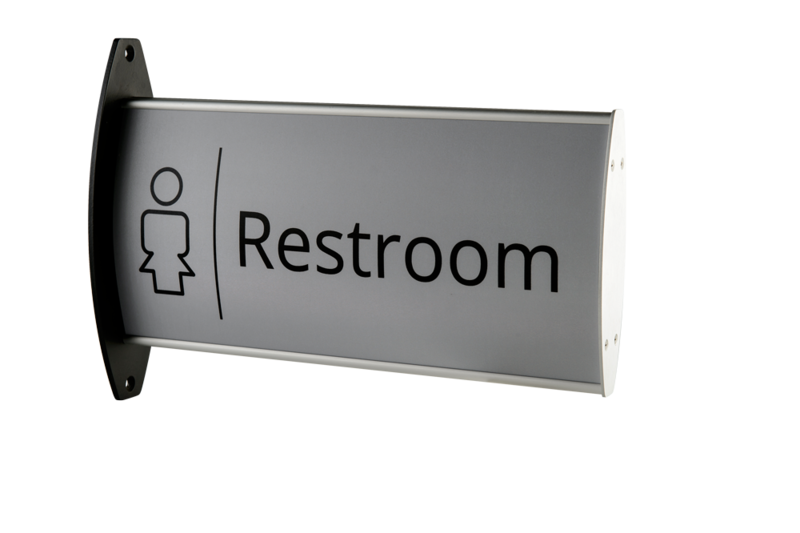 Vista Sharp is a flat & frameless designed sign system, available in a variety of models, from wall signs to double sided stands. 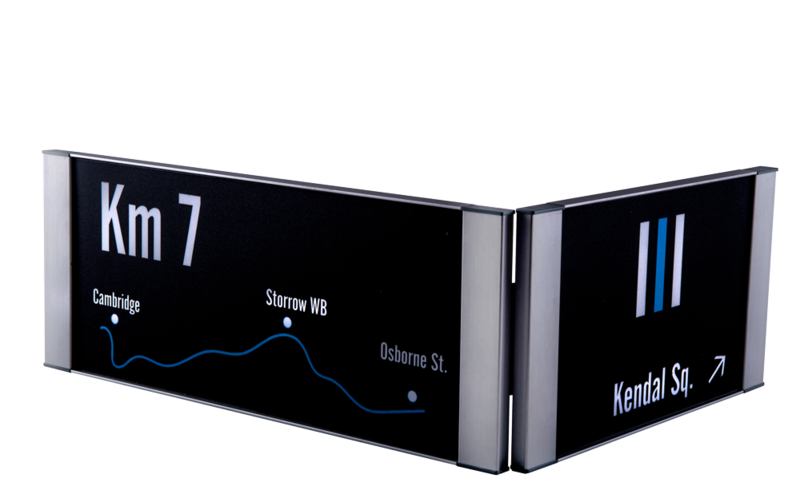 This new system is ideal for the stylish set who demand clean lines and premium value. 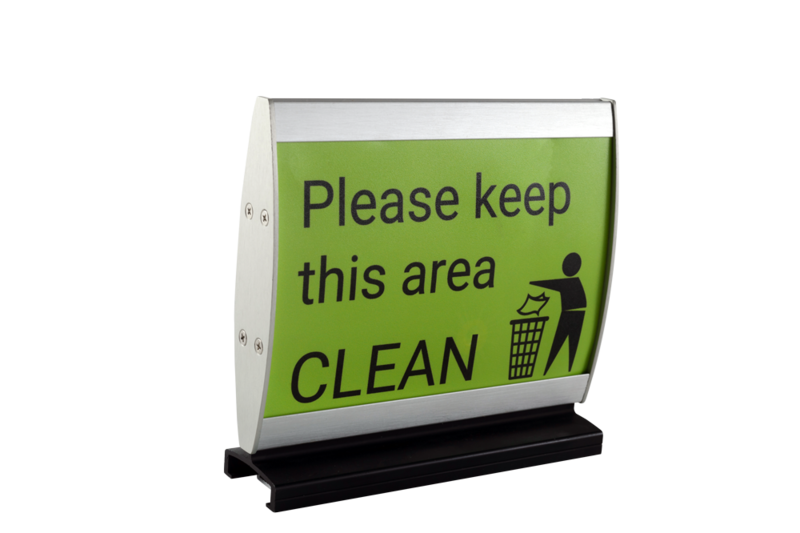 Convex double sided signs including: pylons, flag signs, suspended signs, wall frames etc. 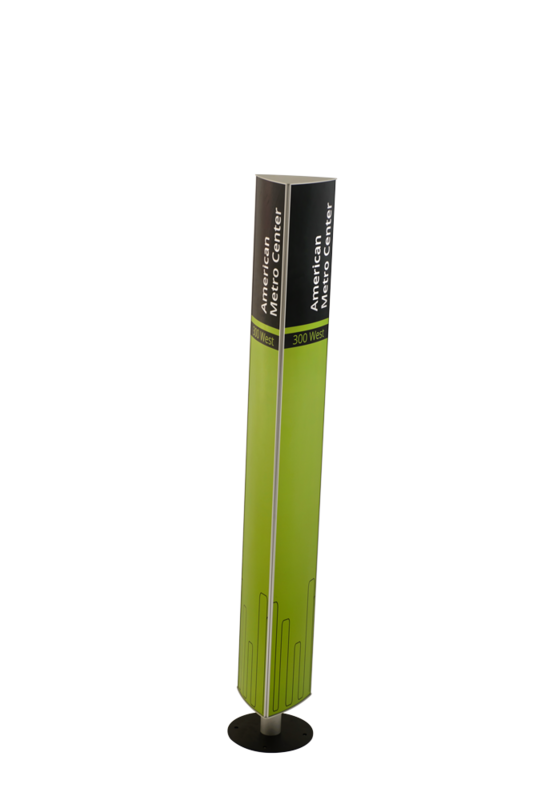 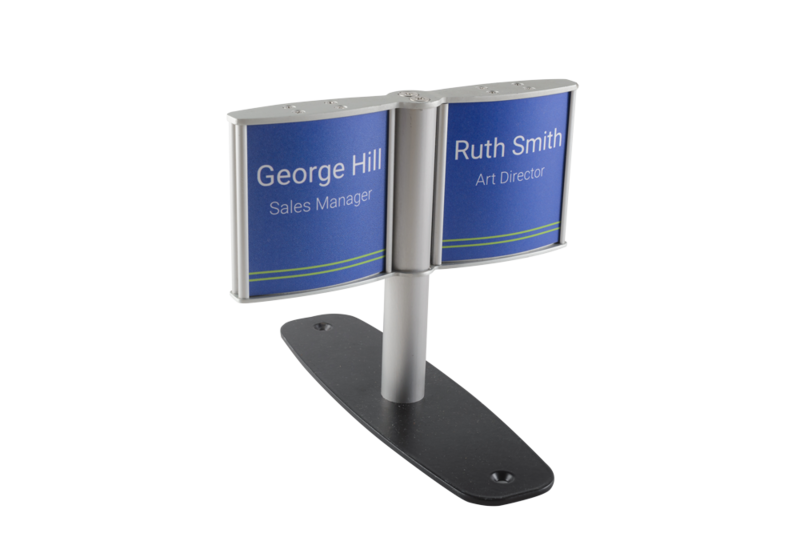 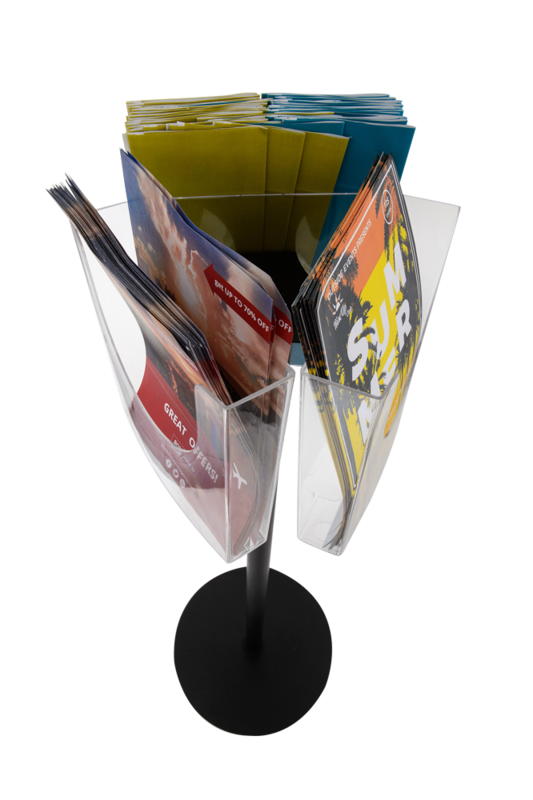 Vista System Brochure Holder is specifically designed to fit onto curved surfaces, as well as flat ones, to create endless possibilities of displaying brochures. 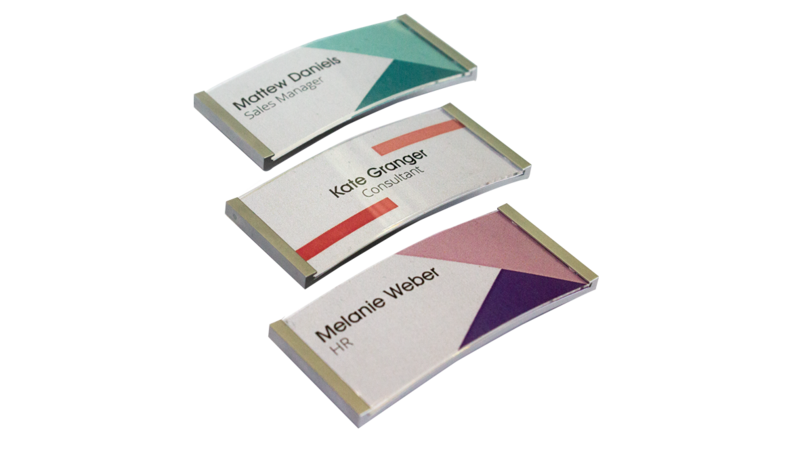 Printed inserts can be held in the front inner pocket of the product. 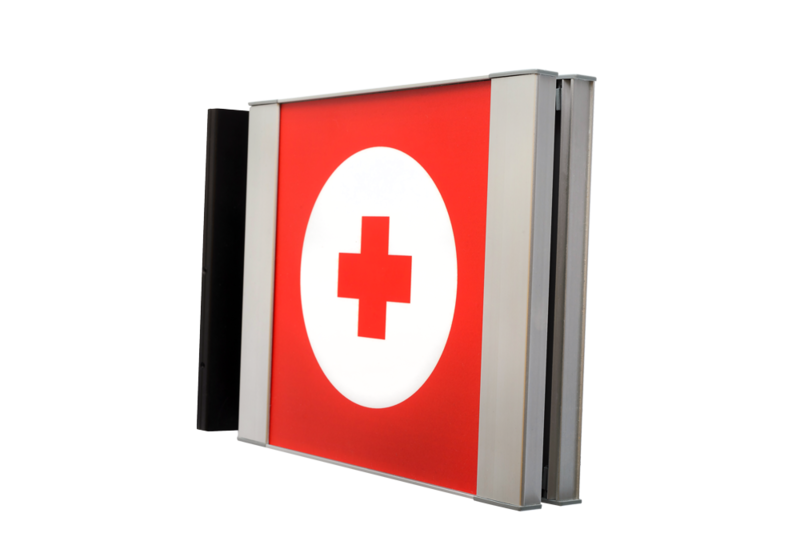 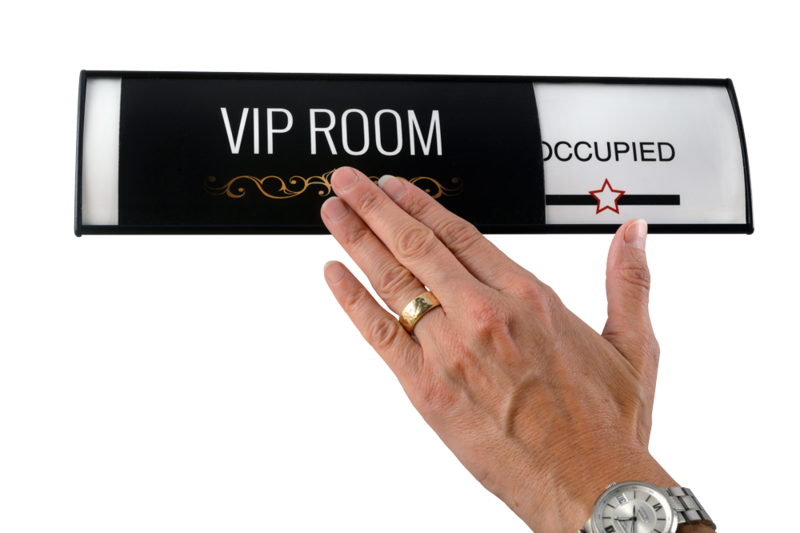 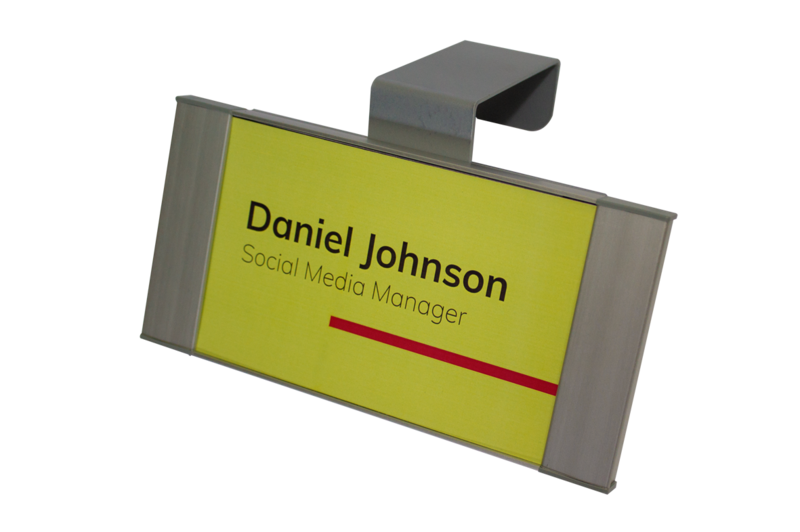 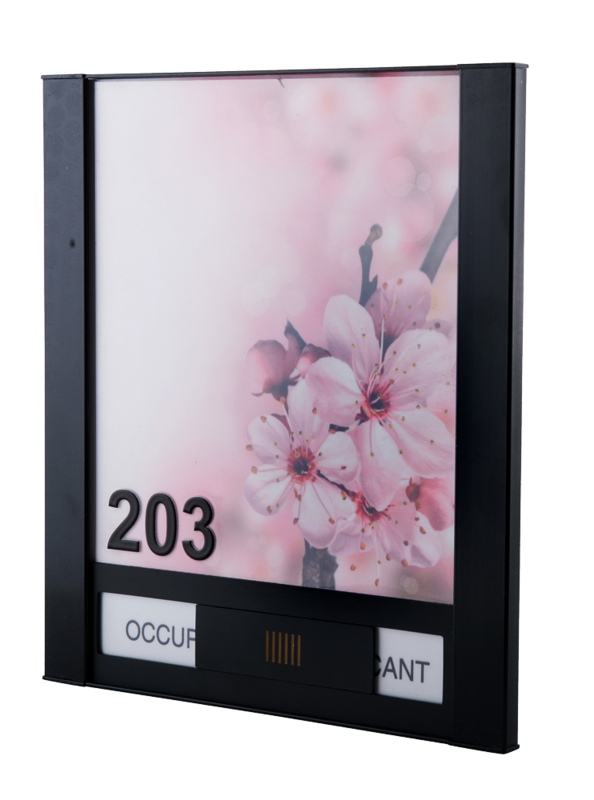 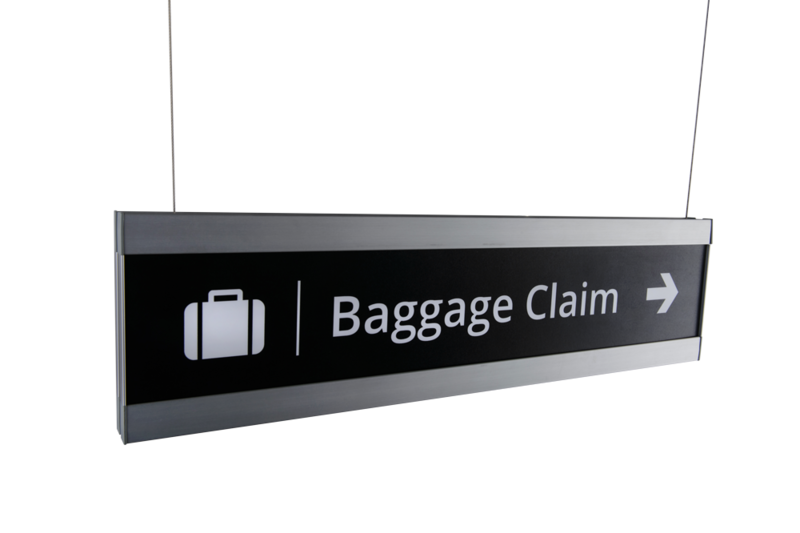 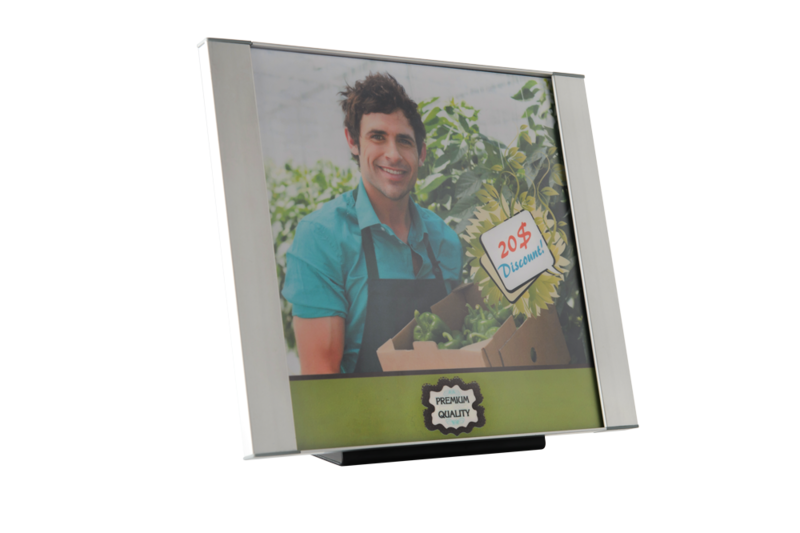 The innovative tray can be purchased individually or in combination with any Vista System sign frame.